With the year coming to an end, it is the time for holidays and celebrations. And when we talk about holidays or celebrations, we all crave to spend it with our near and dear ones, be it with our close friends or family. In recent times, the trend of people visiting new places in the company of friends and family has seen a surge. Visiting new places rather than staying in at home enables individuals to get away from their monotonous lives as well as spend some quality time with each other and bond better, which seems to be missing in today’s world. With the world becoming a smaller place with every passing day courtesy of the facilities provided, the ones who like to travel and also have the resources can visit places which require an Indian passport with relative ease nowadays. If you are one of those who likes to travel and explore new places outside the country, you can get hold of a ‘jumbo’ passport and start visiting places with your travel buddies. 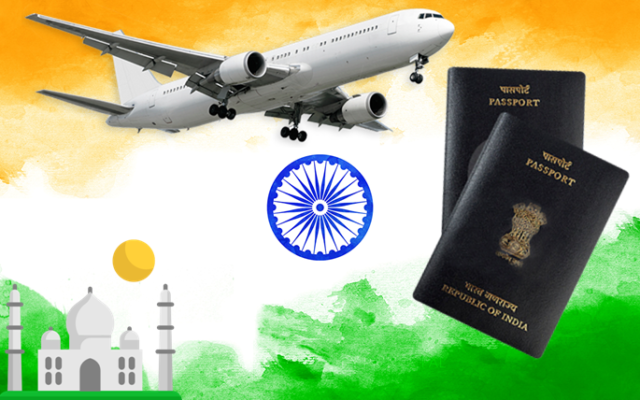 So, what is a jumbo Indian passport? A jumbo passport is nothing but a passport that has 60 pages as compared to the 36 pages in a regular passport. Though a jumbo passport costs Rs. 2000/- and lasts for a period of 10 years, it is a huge benefit for individuals who like to travel frequently. This is because it saves tourists time. There will be no need to visit the passport office at frequent intervals to re-apply for a passport once the pages are exhausted. Jumbo passports were being issued in the country from 1995. At that time, the travel details were inserted in the passports manually. This was time-consuming and troublesome, to say the least. However, in October 2003, when the process of inserting the travel details was kick-started, jumbo passports were left out of the process. Due to this, it led to a halt in the issuance of jumbo passports to the travelers in the country. Though it remained in abeyance of a long period of time, repeated requests by the frequent travelers have led to its resumption, thus bringing an end to the trouble caused to the travelers with regards to visiting the passport office quite often. So, with an increase of individuals who fall in the bracket of frequent flyers as well as more and more people looking to visit other countries, the move has meant that more people are embracing the idea of having a few extra pages in their passports by paying a few extra bucks. With the Ministry of External Affairs of the Government of India (GoI) undertaking all measures to make it convenient for travelers to go out and come into the country a smooth process, having a ‘jumbo’ passport is a huge plus. So, if you intend to get out of the country for a vacation or because your job demands it, it is quite beneficial to avail the benefit offered by the consular, passport and visa division of the Ministry of External Affairs, GoI with regards to jumbo passports.